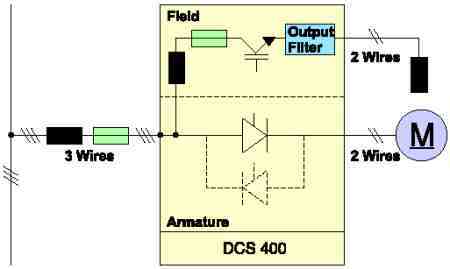 ABB DCS 400 Digital DC Converter – Powerformers Engineers (P) Ltd.
A variety of speed feedback devices can be used with PowerPack and are standard features of the DCS 400. The user is guided through the commissioning procedure by following simple steps that are outlined by the alpha-numeric control panel. By fully integrating the field supply, ABB’s engineers have been able to patent a design with three wires in and four wires out, reducing wiring and requiring less installation time. 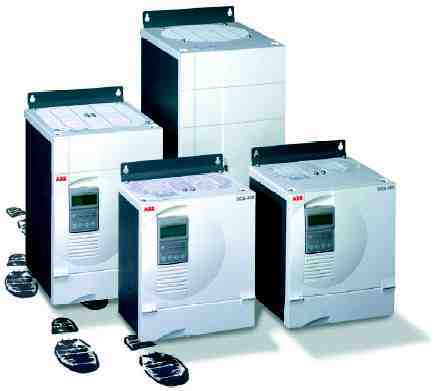 The drive’s ability to operate directly on any worldwide voltage from 230 – 500 V, 50/60 Hz main, 115 – 230 V aux. 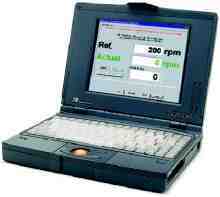 The DCS 400 is the first digital drive which can be commissioned without special knowledge of drives. More importantly, the commissioning and start-up time is dramatically faster than that of other DC drives. 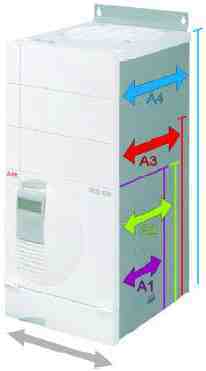 The wizard uses either the drive’s control panel or ABB’s commissioning tool, DriveWindow Light, which is based on RS232 communications using a standard plug (see illustration above). 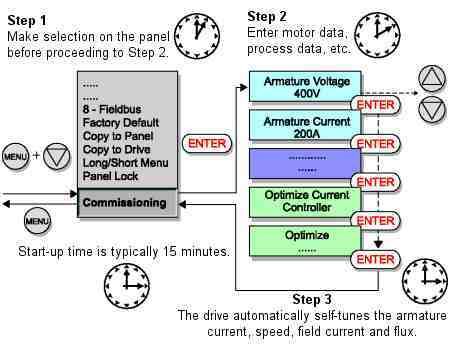 Once the motor and process data have been entered into the drive, the user is guided through commissioning using the self-tuning functions for armature current, speed, flux and field current. 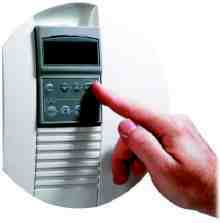 No additional documentation or hardware is needed to commission the DCS 400. Application macros that require setting only a few user-selectable parameters make the commissioning of specific applications easier compared to the several hundred parameters that must be set with other DC drives.